Western Digital has announced the availability of the WD Purple 10TB HDD, the newest member of its high-capacity hard drive line for surveillance applications. 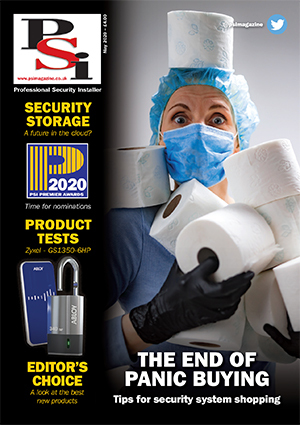 According to the IHS Markit, anticipated growth of 4K-compliant and high-resolution network cameras over the next few years is driving higher demand for surveillance-class storage to support systems featuring these technologies. With increased capacity the WD Purple 10TB HDD is optimised for 24×7 video surveillance systems and up to 64 high-definition (HD) cameras in home and small business security environments. AllFrame 4K Technology – Estimated at two percent of the camera network security camera market in 2017, 4K video surveillance cameras are expected to reach 29 percent by 2020. AllFrame 4K technology enhances ATA streaming support to help reduce video frame loss with proprietary cache policy management technology to improve overall data flow and playback. 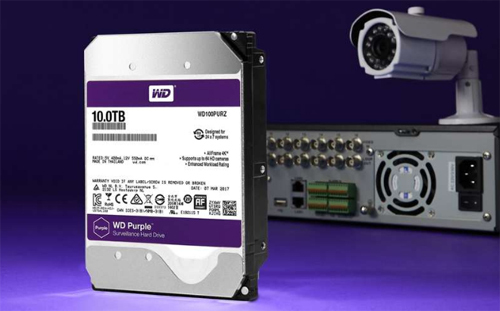 WD Purple 10TB HDDs include exclusive firmware enhancements that help protect against video pixilation and interruptions within a surveillance system. HelioSeal Technology – Enabling higher storage capacity and lower power consumption, the WD Purple 10TB HDD uses the third generation of HelioSeal technology. Scalable Surveillance Systems – Designed for 24×7 operations with support for multi-bay systems with an annualised workload rating of 180 TB/year and tarnish-resistant components, WD Purple 10TB drives are ready for use in demanding high-performance, high-definition small- or large-scale surveillance systems.